With landscaping, you can create a cozy reading or conversation nook. 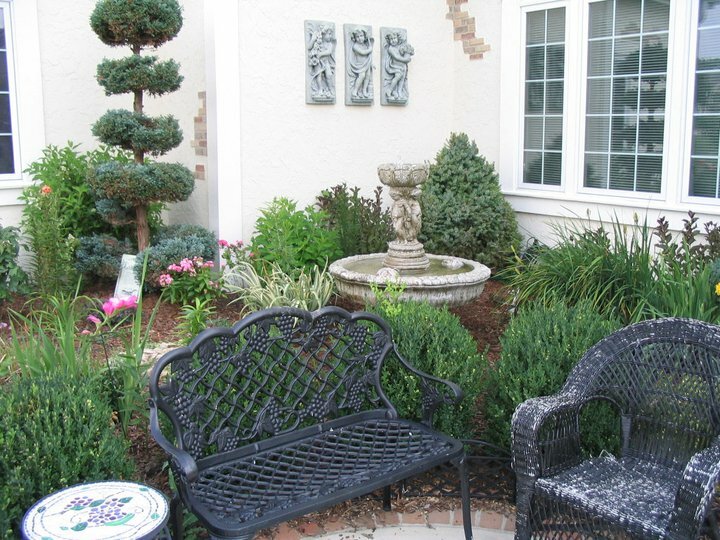 Add a fountain or a little stream, outdoor art on the wall, sculptures, your choice of seating and side tables, favorite flowers. It’s all yours. 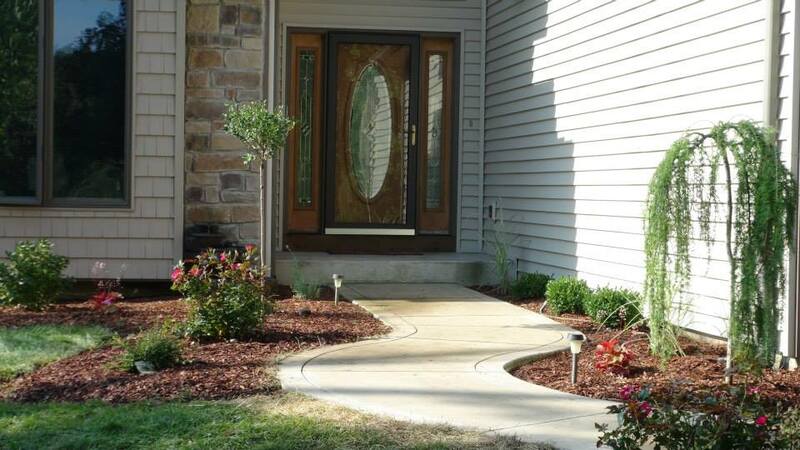 People will often use landscaping to reduce utility bills. 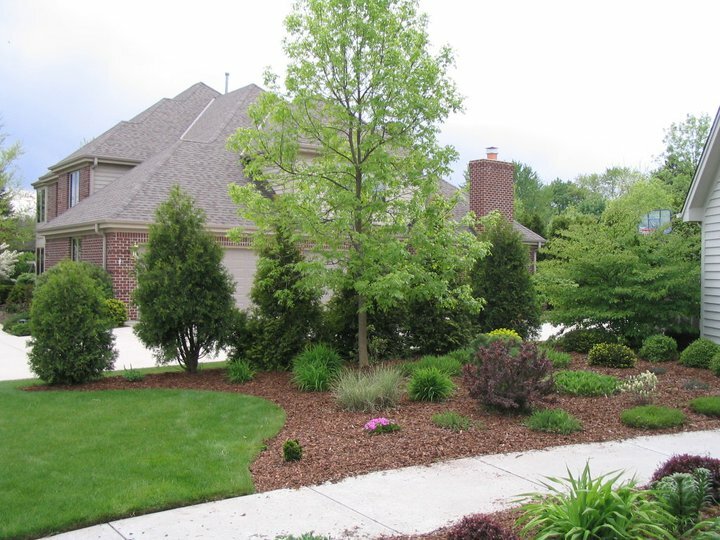 Planting shade trees on the south and west sides of your house will reduce both your heating and cooling bills. They will shade the house during the summer, and water is continually evaporating from the leaves for an additional cooling effect. When the leaves are off in the winter, they will allow the sun to shine through and warm your house. They will also give some winter wind protection, because, even with the leaves gone, the branches will help to break up the wind. Call us today for more ideas. Do you have an existing favorite? A tree you love? A shrub that is the envy of your neighbors? 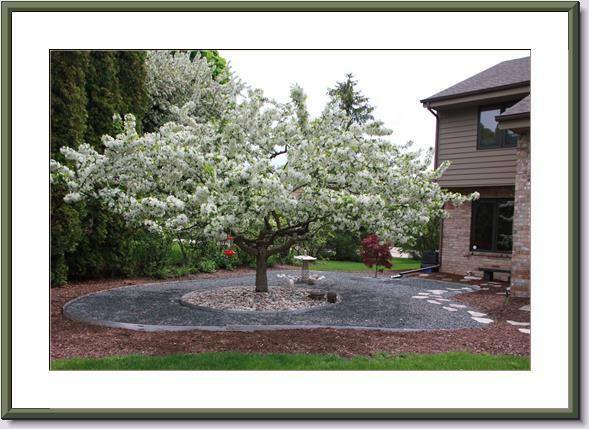 We can enhance and frame it like we did with this crabapple. Really makes it stand out. The Unboring Door. It’s more than a front door. It’s the entrance to your kingdom. So, let’s make it spectacular. . . or understated. . . or fancy. But, for sure let’s make it YOU.